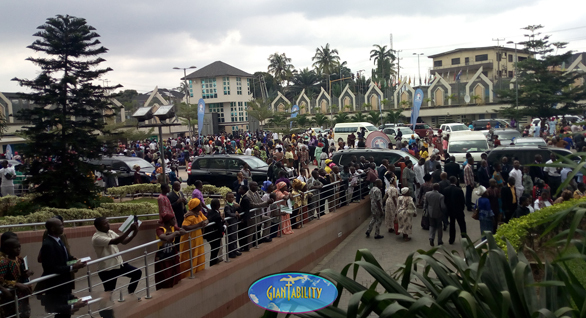 Lagos State Governor, Akinwunmi Ambode has organized a thanksgiving service at Deeper Life Bible Church headquarters, Gbagada, Lagos. The event which was held on Sunday was to commemorate Nigeria’s 58th Independence anniversary. 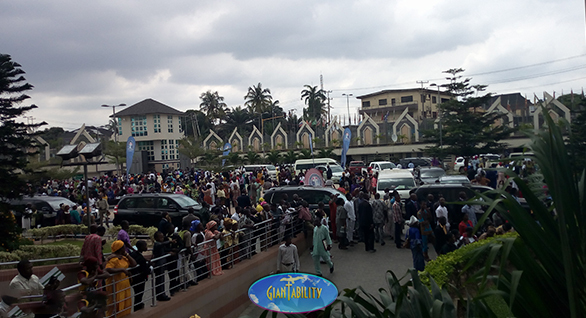 Giantability Media Network reports that the host, Governor Akinwunmi Ambode urged Nigerians to keep praying, hoping and working for the wellbeing of the country. He said “At this auspicious period in the history of our nation, the Church and indeed everyone who believes in the efficacy of prayer have a responsibility and patriotic duty to pray for the wellbeing and progress of our nation. I believe strongly that the best of our nation and our State is yet to come. Let us continue to pray, hope and work for a better future. “As we celebrate our 58 years’ independence anniversary, I urge us to remain steadfast and continue to uphold those values that have been passed down from our heroes who sacrificed so much to liberate us from the yokes of colonial rule. 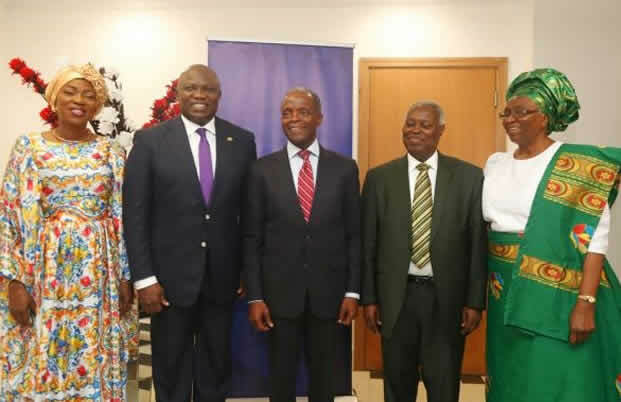 Governor Ambode praised the effort of Pastor W.F Kumuyi, the general superintendent of the church. He said, “As I congratulate you on this new Church building, I also thank you for the good works you have done in the Gbagada Community. Your holistic approach to religious activities has been demonstrated in your corporate social responsibility actions especially the construction of the Oduwole Bridge and a multi-level car park to ease traffic in this community. “You have demonstrated that the Church can play a lot of roles in nation building. Beyond the spiritual role of praying for the Government, the Church can also partner with the Government to make our communities a better place,” he lauded. The cleric, Kumuyi, in his sermon on ‘becoming a man God uses beyond his generation’, explained that God has a great, glorious purpose for every individual He created. Using great men with purposes as illustrated in the Bible, he called on men to yield to their God-given purposes in order to make a difference in this generation. Speaking further, the minister of God thanked God for his mercies, emphasizing the significance of a man in every generation as well as our service to all men in our generation and lastly on the savior of men in every generation, anchoring his explanation to the Book of John, Acts and Psalm amidst others. 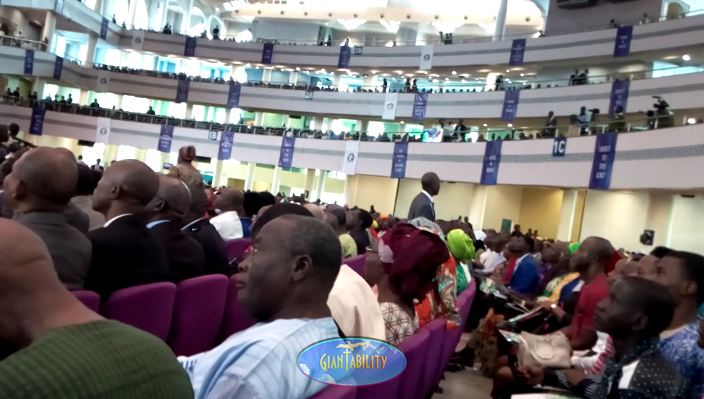 The three-hour interdenominational thanksgiving service, was graced by: special guest of honor, Vice President Professor Yemi Osinbajo; Bolanle Ambode, wife of the governor of Lagos state; Esther Kumuyi, wife of the general superintendent; Dr. Maureen Onyia, Permanent Secretary, Enugu Liaison Office, delegates from the United States of America, and distinguished members of the diplomatic corps.